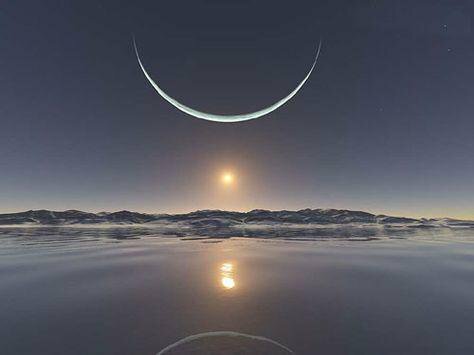 Is this really a photo of sunset at North Pole? It is actually digital art by Inga Nielsen. NASA posted this picture and explanation on their Astronomy Picture of the Day pages in 2006.